Why Should I Care About Impervious Materials? When we cover the earth with roads, sidewalks, buildings, and parking lots, the rain that used to fall and be absorbed by the soil instead runs off of these impervious surfaces and in fast succession moves from gutters, down storm drains, and into creeks. After a thunderstorm or other intense rainfall events, you can observe the quick rise of streams and rivers, the overflow of stormdrains, and flooding of streets. All of this water used to soak into the ground with the earth acting like a sponge before we covered it with pavement and other impermeable surfaces. Now the increased volume of water contributes to flooding, erosion, property damage, and carries pollutants into streams. By replacing impervious with pervious or permeable surfaces, we can allow rain to slowly soak into the earth like it used to, thereby reducing runoff, allowing groundwater supplies to recharge, and improving water quality by reducing the volume of pollutants carried to streams. There are many ways to take action to improve your property to reduce impervious surfaces and allow rainwater to soak into the ground. Disconnect your downspout and let it flow into a rain garden. Direct water from impervious surfaces to an infiltration basin where it can slowly soak into the soil. 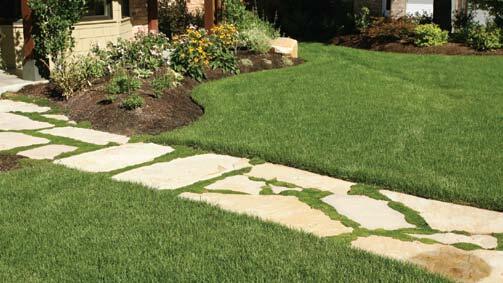 When constructing or replacing driveways, patios, or walkways use permeable surfaces such as porous pavement or interlocking concrete pavers that can be beautiful, functional, and keep our streams cleaner. In addition to taking action on your property, you can encourage larger change by contacting your city council and letting them know reducing impervious surfaces is important to you. Many entities in the Rogue Valley are working to promote the use of pervious surfaces, but without strong citizen support city councils are reluctant to take a stance. Take The Pledge Now To Let The Rain Soak In! Pledge to help reduce your impervious surface footprint by allowing stormwater to soak into the ground on your property, or by working to encourage the use of pervious surfaces in your community. There are many choices when installing pervious surfaces. The cost, utility, and pervious ability of these materials varies. These permeable surfaces offer many benefits including reducing the volume of stormwater runoff and effectively trapping suspended solids and filtering pollutants from stormwater runoff. The goal in using pervious or porous pavement is to limit runoff at the source, reduce downstream erosion, and improve water quality by filtering pollutants. With both pervious and porous pavers, this is partially achieved within the paver itself as water moves through the paver. With permeable pavers, water is circumvented around the paver, and the filtering process begins between the pavers in the void space filled with gravel or other materials. All of these types of pavement require a similar compacted stone aggregate layering process beneath the surface to accept the stormwater and create "reservoir" through which the water percolates. In this way, your pavement choice helps keep our streams cleaner. That is Stream Smart! Learn more about alternatives to impervious pavement.